Oh Pinterest how I adore you sometimes. 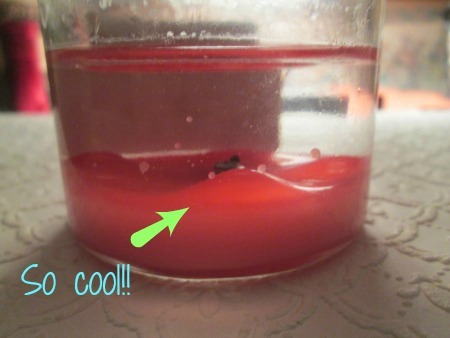 I found a tutorial that showed how to remove candle wax from their jars. Its so easy! Boiling water!!! Why didn’t I think of that! 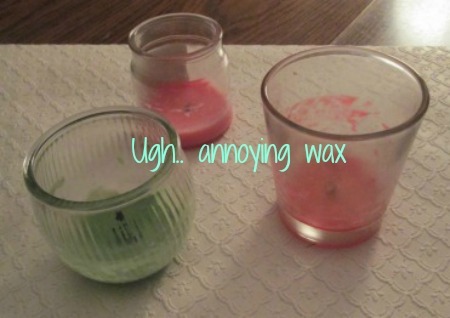 I use to just use a knife to break the wax and then soak the jar to get the wax from the sides and scrub. 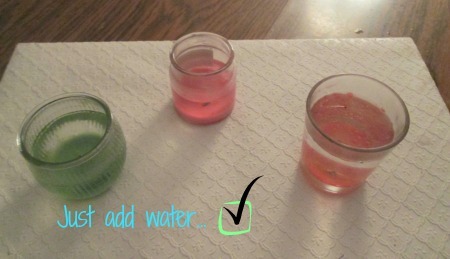 Boiling hot water is so much easier! 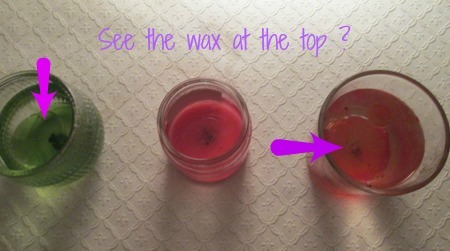 The boiling water is suppose to make the wax float to the top. Let sit for a few hours, until the water is cool. 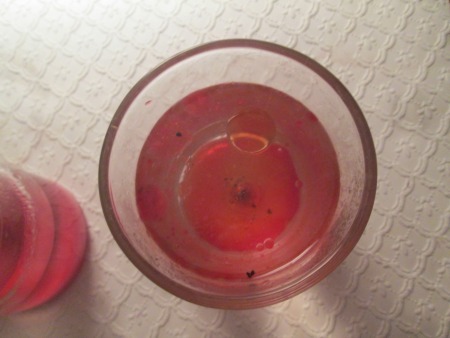 I had to wash them out with a wet paper towel but it was easy to get the remaining wax. 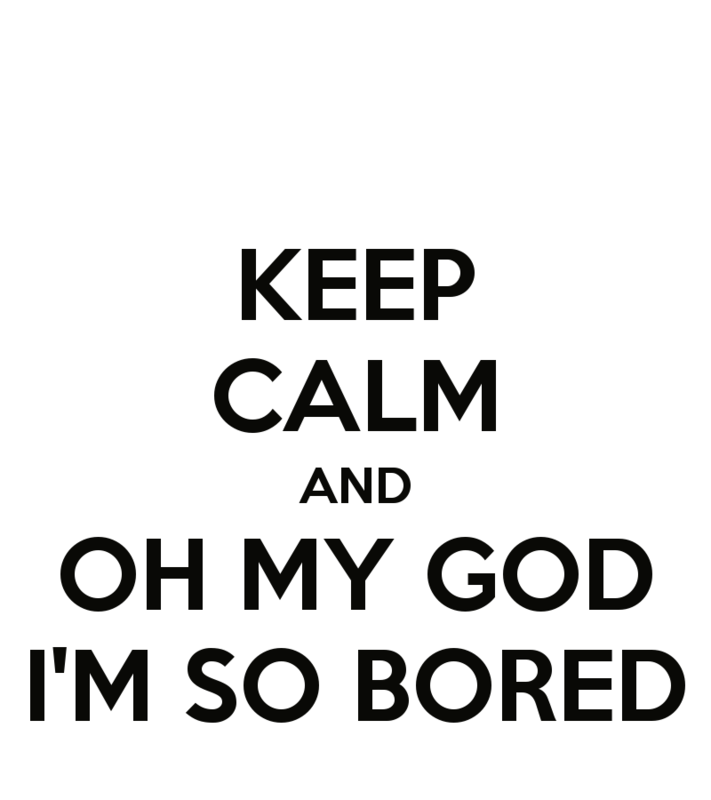 15 Things You Can Do When You Are Bored! Boredom is the worst. A lot of people suffer from this. Here are a few things to help you over come this horrible condition! If you have something to share, comment below. 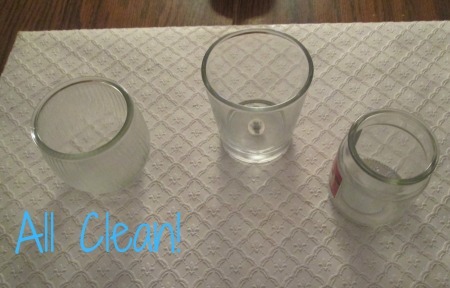 Clean out the fridge or cabinets of stuff you don’t need/want.